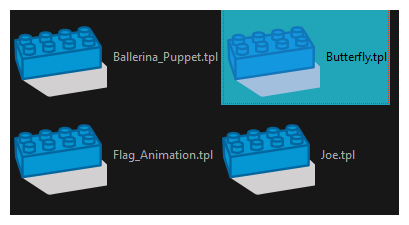 When you display thumbnails in the Library view, the system generates a series of small images (thumbnails) for you. You can generate template thumbnails yourself, if they do not display or if the process has been stopped. In the Library view's right side, select the template in which you want to generate thumbnails. In the Library View menu, select View > Generate Thumbnails.